St Joseph’s College has a new enrolment! Valmai has joined us for 12months as a Guide Dog in Training. 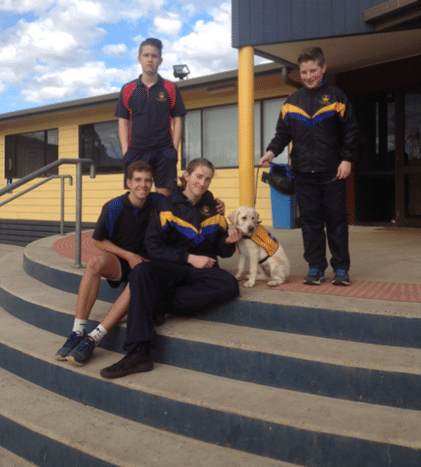 St Joseph’s College supported a guide dog in training (Kerrin) in 2015. I’ve also been part of a school with a guide dog in training and can assure you that the benefits for a school community are enormous. Of course, the major benefit is the work that Valmai will go on to do for a person who is in need of her support. The training of guide dogs is an accepted part of community life in Australia. To learn more, please visit the website http://seda.visionaustralia.org/. Pictured (L-R) with Valmai are Nathan Rose (9OS), Ben Milkeriatis (9OS), Parri Waddingham (9CH), Valmai, Nathan Park (9ED). Enrolments for Year 7 2019 officially close on Friday 25 August. Tours are available throughout the term and bookings can be made via our website. 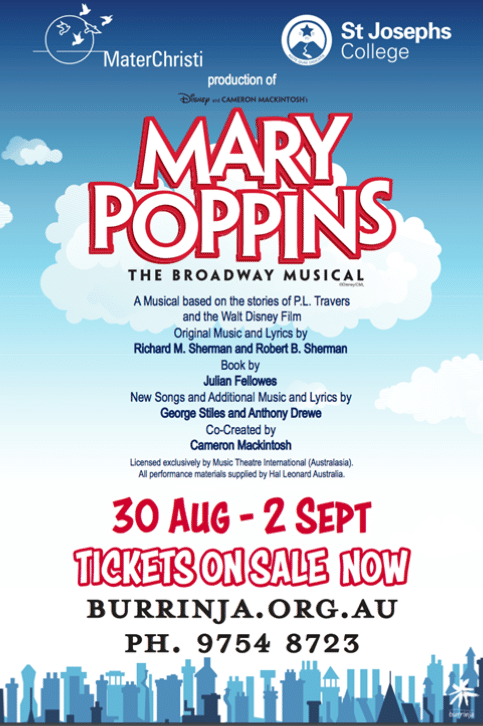 The Mater Christi College and St Joseph’s College production of Mary Poppins is fast approaching. Tickets are now on sale, and I urge you to secure your seats as the shows are sure to sell out. 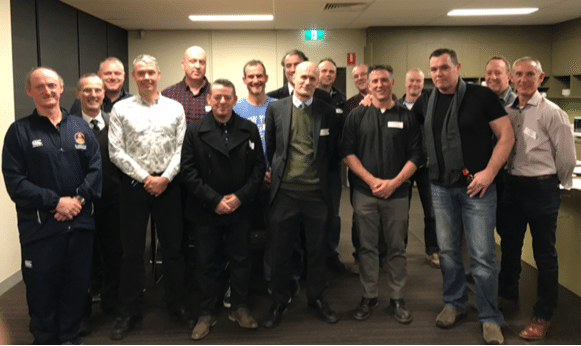 Recently we hosted the Reunion of the Class of 1987. Many returned to catch up with former classmates. 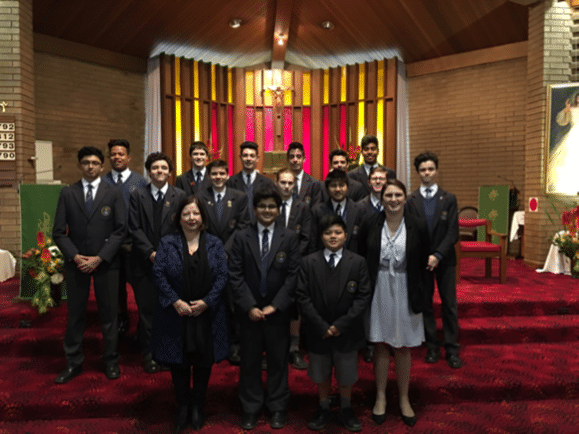 Students represented the College extremely well at the recent Sunday mass at Our Lady of Lourdes in Bayswater. I appreciate the efforts of all students, staff and parents especially CJ Preston (9PR) and Abel Sujeev (10OM) who spoke so genuinely about their time at St Joseph’s College.